The trip that involved Kansas City was a really exciting one for Yvette and I. We had already been a lot of places, not to mention stadiums, but for some reason, the idea of getting on the road again across middle America had us in stitches. Kansas City was the first stop in a three-city, four stadium tour in the summer of 2009, which also included St. Louis and both Chicago ballparks. Kansas City is an underrated place, teeming with great food and culture. Even though we didn’t stay long, and it rained incessantly, we enjoyed our time nonetheless. Kauffman Stadium was built in the early 70’s, but underwent major renovations starting in 2007 and going through the summer of 2009. 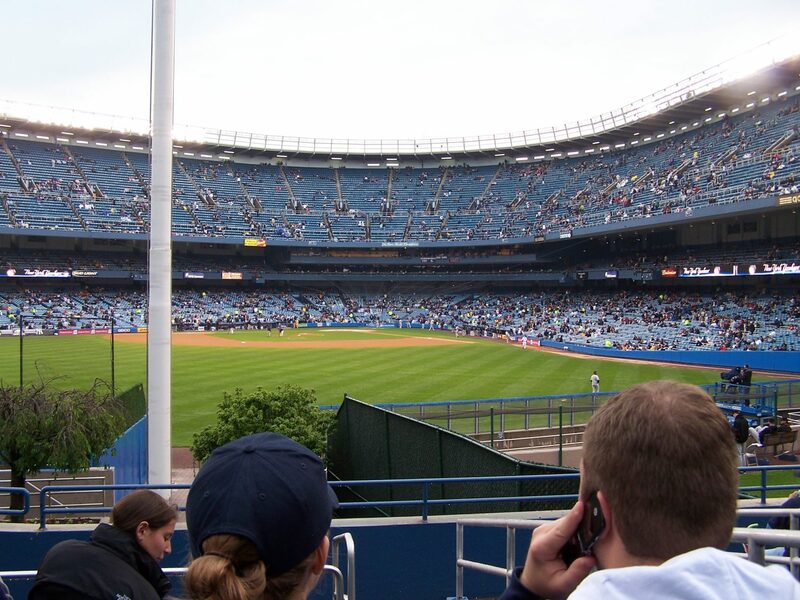 The game we attended was in May of 2009, and the park just felt brand new. Adding to the sheen of everything was the incredible amounts of rain we received during the evening, making everything appear brand…spanking…shiny…new. We were concerned that the rain would ruin our parade, as we were leaving the day after for Chicago, but luckily we got the game in after a 2.5 hour delay.